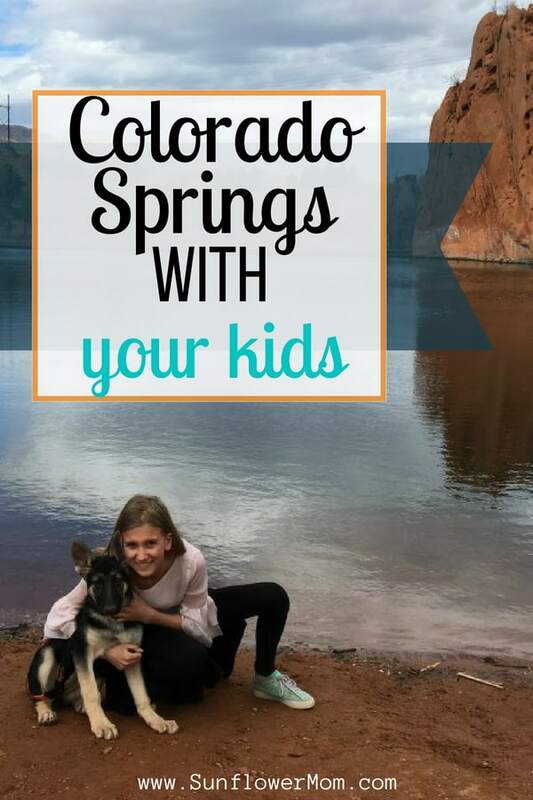 Vacation in with Kids in Colorado Springs – and your Dog! Here are the top things to do in Colorado Springs with your kids. And bring along your dog too! Colorado is the best place to get your kids to ditch their devices and embrace nature! 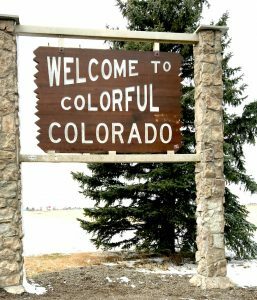 The state of Colorado is the healthiest in the US. And Colorado Springs just beckons you to get outside. The mountains are beautiful and once you arrive you can’t help but get out and enjoy them. My children and I recently visited there and I was amazed that I didn’t have to ask them even one time to put their phones away! They even forgot to take their phones/iPads with them when we went out for the day each day. Now there’s quality time! The exercise we got each day was awesome. We brought along our dog and it was no problem finding things to do with her. Colorado is the most dog-friendly state I’ve ever been to. The people are friendly and welcoming of your dog just about everywhere you go. Here are the top things to do in Colorado Springs with your kids – and your dog! You can’t go to Colorado Springs with your kids and not visit Garden of the Gods. There are lots of well-marked paved paths or some hiking paths that are well-suited for kids. We spent a full day here hiking, walking, and climbing the rocks. The dog climbed around too and there were a lot of other dogs as well. You can also visit the Nature Center and eat there at the grill. Pub Dog is the most dog-friendly restaurant I’ve ever been to. Dogs are allowed to eat in the restaurant with you – either inside or outside. Big dogs or small dogs. While we were there 2 Great Danes came inside with their owners and slopped their faces onto our table while my kids pet them. There is even a menu just for your pup. The food is fairly good as well. In fact, we ate there 2 times while we were in town. My kids wanted to eat there more. The food comes in different dog bowls, even for humans. You don’t have to bring a dog to eat there! If your kids just love dogs, go eat outside and watch the dogs play in the open area. Probably the most popular spot in Colorado Springs, driving up Pikes Peak. The driving conditions change frequently so it’s wise to check the website the day you plan this drive and see if there is any snow or if the highway is clear. There is a shuttle that runs during the summer you can ride. If you are driving you can take your dog. This may be one of the largest dog parks in the U.S. It is 25 acres of an off-leash park with a separate area for small dogs, a creek, a training area, and bathrooms. We spent half a day here. We were nervous at first letting our dog free in such a large space with so many other dogs. But one thing I quickly learned in Colorado, residents have very good command of their dogs. Almost all owners were able to call their dogs with a simple command and their dog would come back to them. The park was picked up and everyone was very courteous. The kids had a lot of fun in the creek with the dog and using the fenced-in training area. 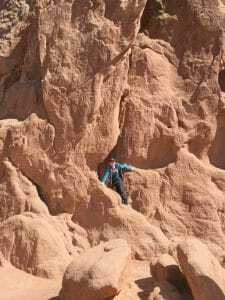 Red Rock Canyon has many hiking trails that kids can easily do. There are lots of great beautiful areas for pictures and a picnic area and lake. You can see Garden of the Gods from here. Mountain biking trails are available. Trails are perfect for bringing your dog along. Most are on-leash but there are a couple of off-leash areas as well. When you’re in Colorado Springs, you’re right next to Manitou Springs. If you have time, head over and check out this fun little town. There are quaint shopping and cool caves and creeks.